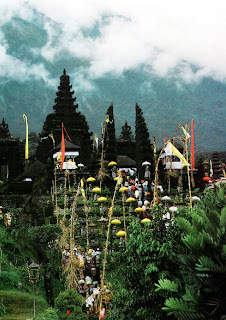 Pura Besakih is located on the southwest slope of Mount Agung, at an altitude of 1,000 m above sea level. These include the village of Besakih, District of Rendang, Karangasem regency. 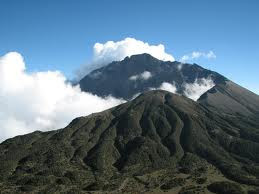 Mount Agung is the highest mountain in Bali, which is 3.142 m and is regarded as a holy mountain by the people of Bali as a place of gods and sacred ancestral god or spirit. Pura Besakih is a complex of temples that are located in Besakih Village, Rendang Karangasem regency District, Bali, Indonesia.Pura Besakih Complex consists of a central temple (Pura Besakih Upgrading General) and 18 temple assistance (1 Pura Basukian and 17 Other). At Temple Basukian, this is the first time in the area where the receipt of God's revelation by Hyang Rsi Markendya, the precursor of Hindu Dharma religion in Bali now, as its center. 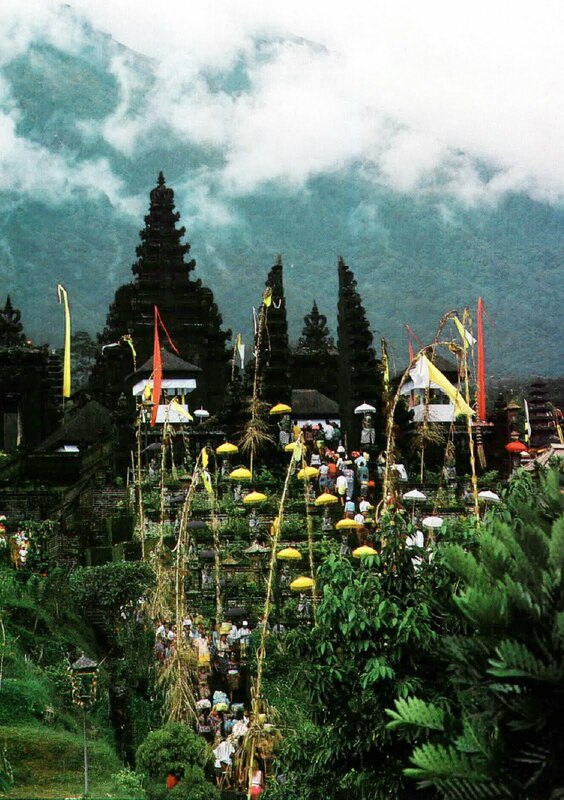 Pura Besakih is the center of activities for all temples in Bali. Among all pretend that included in the complex of Pura Besakih, Pura Penataran Agung is the largest temple, with many buildings or "pelinggih", most types of ceremony and is the center and all existing temples in Besakih complex. In the Pura Penataran Agung upgrading statue or temple there are 3 main symbols of the nature of God "stana" the Tri Murti, namely Brahma, Vishnu and Lord Shiva which is the symbol of God the Creator, Preserver and Destroyer of the universe. 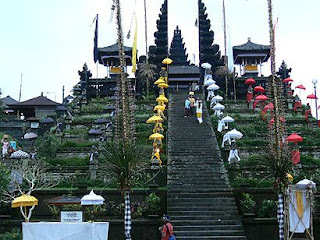 Pura Besakih is a very large area, with the number 86 overall pura pura. Pretend consists of general temples, temples Pedharman, Pura Chess Lawa, Pura Dadia, temples associated with the temple dadia, non-padharman temple and other temples. Archaeological studies show Pura Besakih very old, can be seen from the writings on papyrus Babad Gunung Agung which states that the Eka Dasa Rudra ceremony held saka first time in 111 or 189 years BC. Big ceremonies conducted routinely by Hindus in Pura Besakih.On every full moon ceremony held Kadasa Batara Down kabeh.When the ceremony Batara Down kabeh already lasted 10 times or for 10 years, held a ceremony Tawur Panca Wali Great manners. Every 100 years, dedicated tawur Eka Dasa Rudra glorious, while the Earth Marebhu Baligya ceremony held once every 1000 years.